Much like people and their homes, businesses also have to be prepared in case of an emergency or disaster. Everything from having an evacuation plan, to safety precautions on the premises, and even first-aid training and inventory storage are all necessary to help a business recover from an accident, fire, storm, earthquake, or worse. All businesses – even those run out of the home – need evacuation routes. The law requires that established brick and mortar businesses have at least two exits what are clearly marked in case an evacuation is necessary. Employees should be familiar with organizing evacuation procedures and getting everyone out of the building in an organized and timely fashion. Someone should always be appointed with the responsibility of sweeping the building after an evacuation to ensure that no one has been left behind, and to decide on a spot to keep all employees together at a safe distance outside of the business until help arrives. In case of dire emergencies, most people know to call 911. However, there are some emergencies hat will specifically require either the police or fire department. There are other emergencies that a business can experience (a broken pipe in the plumbing, and electrical short, and other structural-related problems) that fall outside of a 911 response. In addition to the police and fire departments, keep the contact numbers of electricians, plumbers, IT professionals, and any other person or organization who can quickly repair something if part of a company’s infrastructure takes a turn for the worse. When an employee or customer experiences a medical emergency, every second counts. Having employees who are trained and certified to administer first aid or CPR until medical professionals arrive is not only a potentially life-saving measure, but can ensure a calm and rational atmosphere that could otherwise quickly devolve into chaos and panic (which are not conducive to resolving the issue at hand). The Occupational Safety and Health Administration (OSHA) helps businesses maintain safe working environments and precautionary measures to keep a business and its employees safe. Everything from teaching people how to lift properly, to how to store materials, width of aisles, room clearance, and removing potential hazards are covered by OSHA auditors and trainers. While training and auditing can take a bit of time, it is worth it in order to prevent major emergencies in your company. People should always be the first concern in any emergency. Second to human lives, however, is information. Most businesses keep records dealing with finances, customer portfolios, and other information. While most businesses keep those records stored on computers (as opposed to physical files), smaller organizations store that information on site. This means that if there is an emergency or disaster where the computers are damaged or destroyed, then all of that information is lost – which is something no business can afford. Many businesses have turned to cloud storage or keeping company records on an off-site computer as a measure of redundancy in case of a disaster. This helps a business recover operations very quickly, and can assist in getting adequate compensation from insurance companies during the assessment and recovery period. One of the best practices a business can have is monthly, quarterly, and yearly safety auditing. This can be done by partnering with safety organizations to come into your business in order to see if operations and procedures are in place in case of an emergency or disaster. 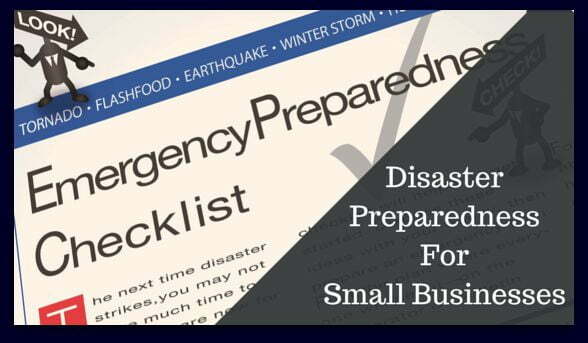 Depending on the size of the company, business owners may task one or more employees to make routine checks on evacuation plans, safety procedures, and to ensure that all employees know what to do in case of an emergency. Some businesses will go so far as to get compliance certifications for disaster preparedness, which involves auditing the company and training all staff on how to handle emergency situations – from handling harmful materials to fill-blown disaster scenarios. One of the best ways to ensure disaster prevention and preparedness is to be involved in the community. Have you business partner with organizations such as the Red Cross to donate blood, host drives, etc. Work with local schools to hold safety events. The more you are involved with your community to prepare them for any emergencies and disasters that might arise, the likely they will be there to help you when something dire occurs. No one can predict when or where disasters will strike. Tornadoes will rip apart huge swathes of territory. 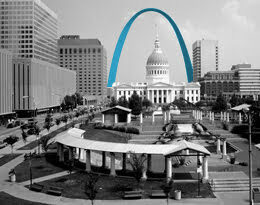 Earthquakes will shake entire city blocks to the ground. Storms will swallow homes and businesses. However, the more trained and prepared you and your staff are to handle disaster situations, combined with any preventive measures you take ahead of those situations, will ensure a quick recovery for your business. Most businesses that are unable to at least make a slight recovery within 10 days after a disaster face very poor odds of getting back up and running.